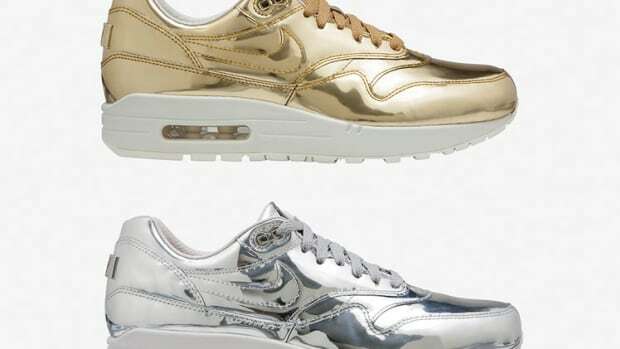 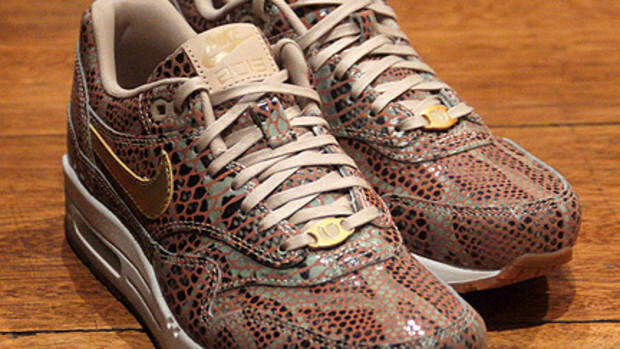 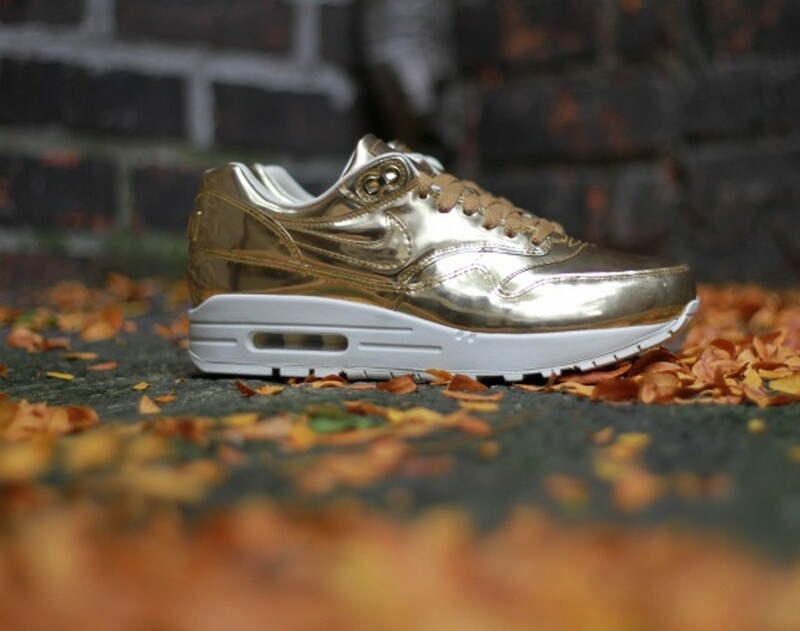 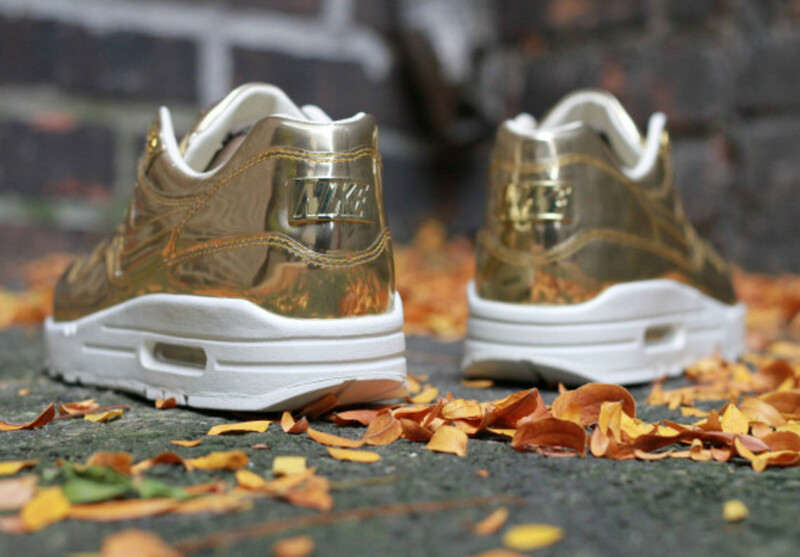 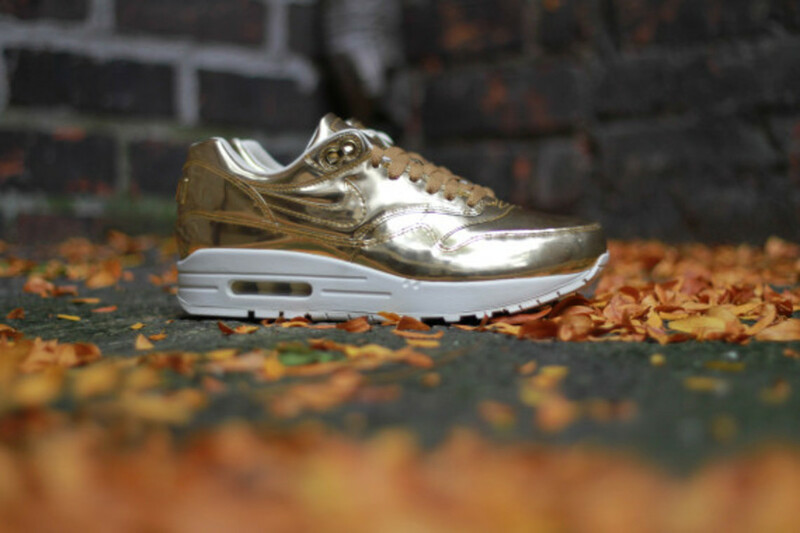 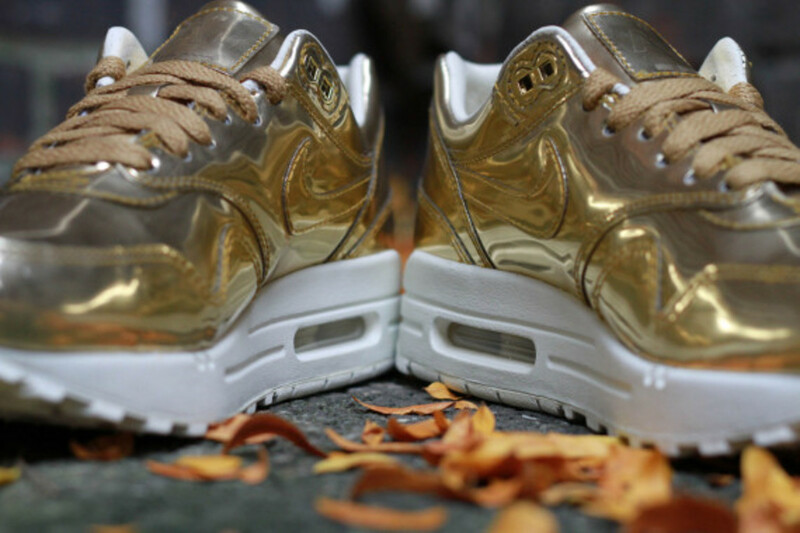 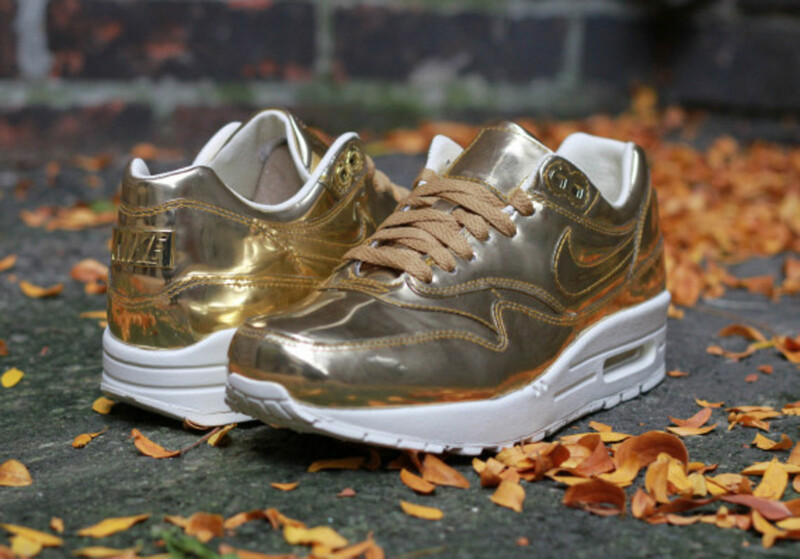 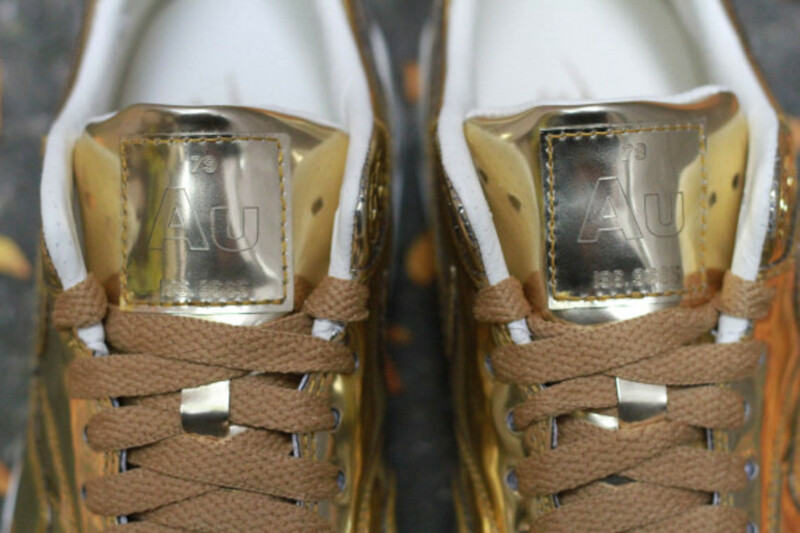 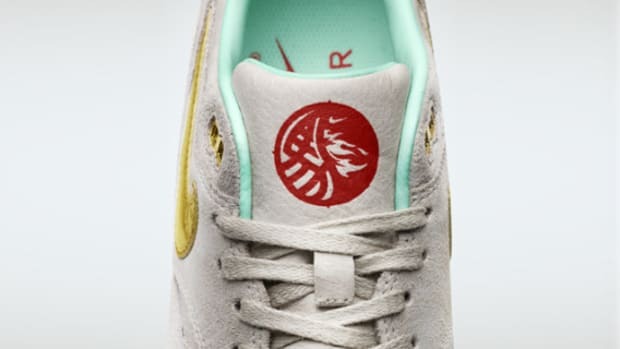 Nike WMNS Air Max 1 SP - "Liquid Metal"
Dressed like something Goldmember would have his female accomplices wear as they fight Austin Powers, this Nike WMNS Air Max 1 SP "Liquid Member" is for those ladies that "love gooooooold." 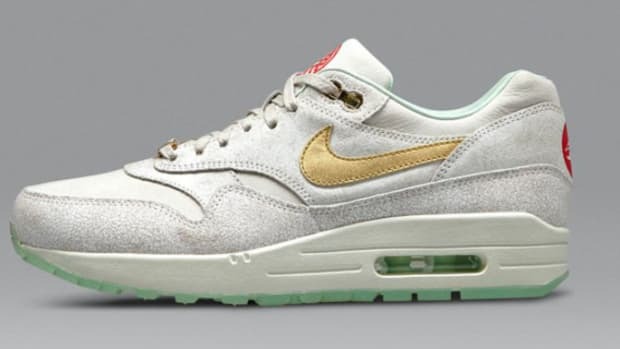 Bad movie references aside, this sneaker finds the popular Air Max 1 with a gold-coated upper contrasted sharply with a white midsole and leather inner liner. 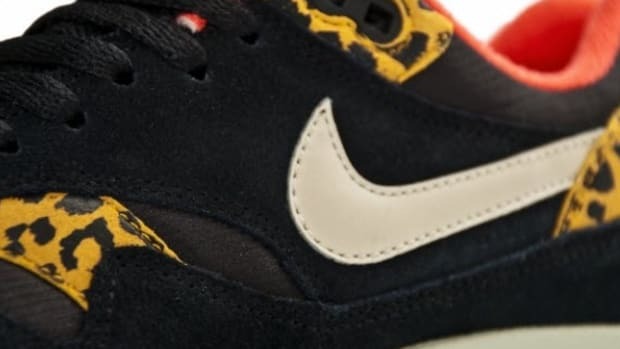 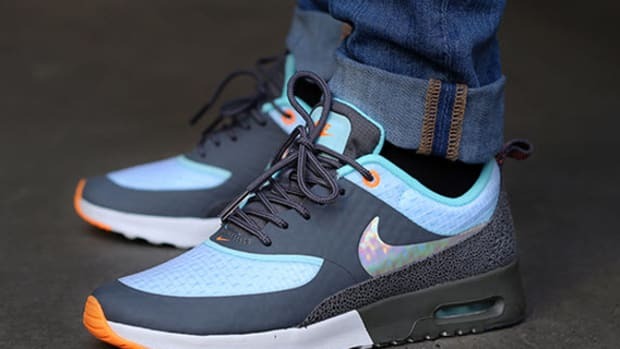 Joined by a set of gold laces, Swoosh, and even an "Au" periodic table reference on the tongue in place of the usual Air Max label, this drop will have you feeling luxurious even if you&apos;re just making a trip to the corner store. 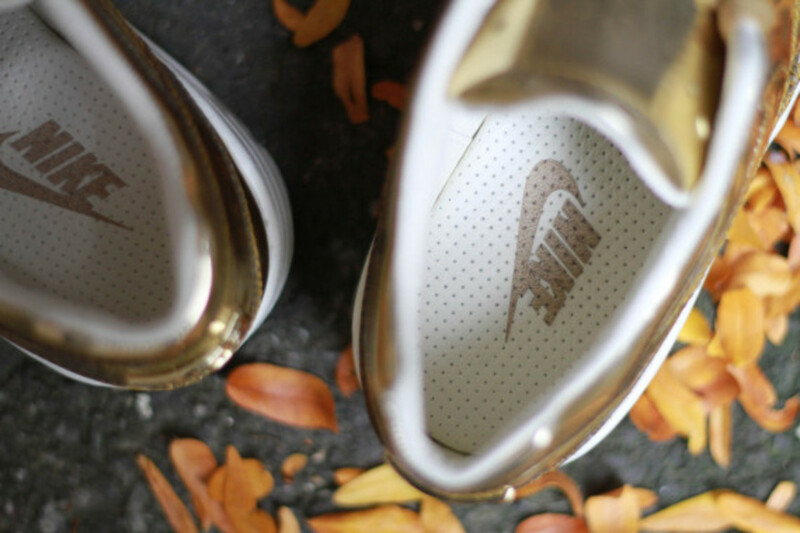 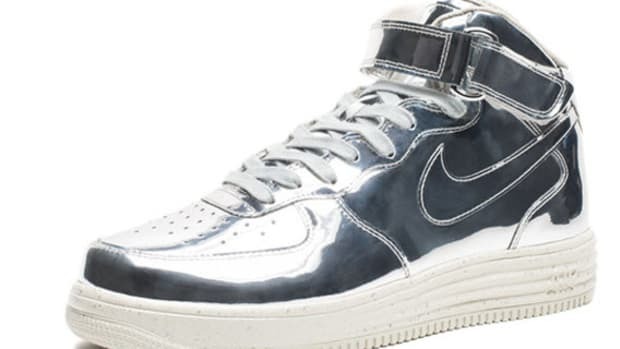 Check-out more detailed shots after the click and look for this "Liquid Metal" sneaker to hit select Nike accounts like BODEGA this Saturday, October 19th.